This waterproof touchscreen-friendly case lets you check maps or use training apps as you ride. It and detaches easy once you're off the bike. The handlebar mount also fits many windsurf booms. Floats with most phones (test in shallow water first). 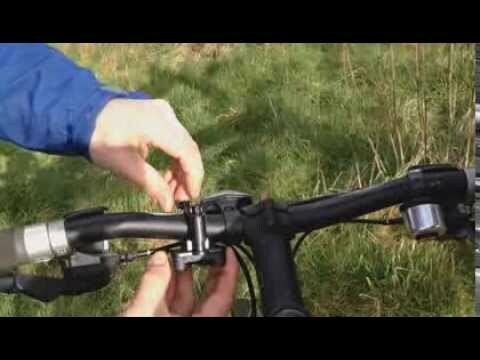 Aquaclip waterproof clip uses 2 twist levers for secure sealing. Seams are RF welded and as strong as the case material. Rated waterproof and submersible to IPX8. Also keeps out dust and dirt. Loop lets you attaching a cord. Works with front-facing cameras only (handlebar mount blocks rear-facing cameras).